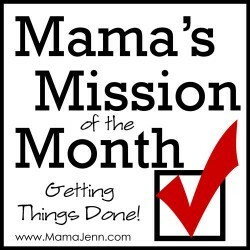 As a mom of five kids who are very active in sports, we spend a lot of time in the car. I mean A LOT! I am regularly driving to and from all kinds of practices/games/meets/etc. Basketball, volleyball, swimming, track, flag football, soccer, lacrosse, baseball ~ you name it! And, that’s just driving around for sports. Let us not forget about music lessons, play rehearsals, and co-op classes as well! I often joke that I should have my SUV painted yellow because I feel like a cab driver or better yet, a bus driver! But, while I don’t particularly like all the driving, I have found a way to make it more productive. In fact, I like to use the time that I am transporting my kids around as character-building time. Yep, character-building in the car! One of my favorite ways to do this is to use quality, conversation-provoking audiobooks. One of our favorite audiobook series of all time is Adventures in Odyssey from Focus on the Family. We have been listening to Whit and the crew for many, many years! In fact, we currently have Up in the Air (AIO #63) in the CD player of our car. Whenever we hop in the car for one of our many outings, we just pick up where we left off on the audiobook. But, it’s true! 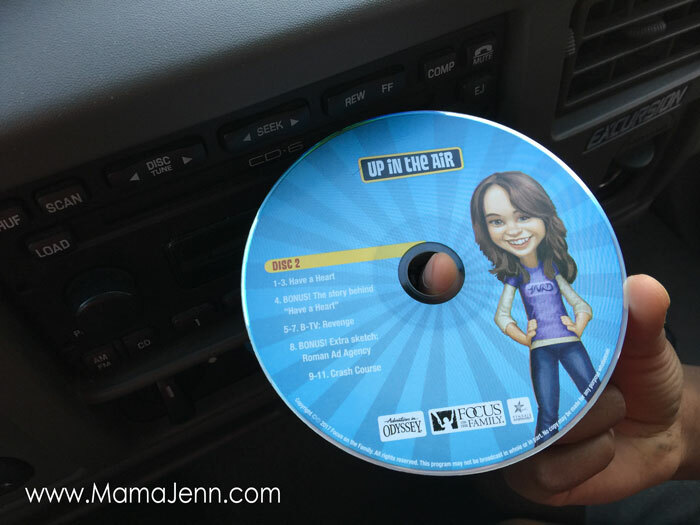 All you need is a quality, family-friendly audiobook and a car with a CD player. Of course, the car is totally optional, but when you are on the road as much as I am, it’s essential to make the most of all that driving time! Seriously though, the “right tool” is the audiobook. 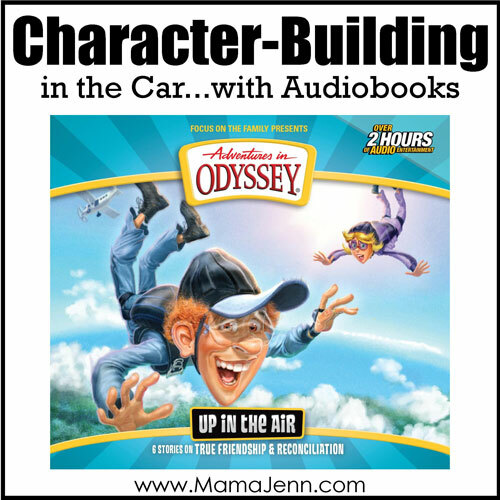 If you’ve got that, instilling the character-building qualities is actually quite simple: Listen to the audiobook and then talk with your kids about it! Yep, simply discuss what happened. Talk about the choices that the characters made. Who made the right choice? Who made the wrong choice? What would have been a better choice? 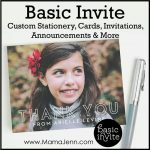 How could certain situations have been avoided? Just continuing asking lots of thought-provoking questions and if needed, guide your children to the desired solution/answer. It is amazing how much you can help shape your child’s character through conversation! Adventures in Odyssey has been the “right tool” for us for many years, always a source for great teaching opportunities for my children! In fact, they have been providing high quality, character-building audio entertainment for families for nearly thirty years and Up in the Air is no exception! With six episodes and two disks lasting for over two hours, the Up in the Air audiobook provides opportunities for discussing relationships, friendship, compassion, peer-pressure, obedience, integrity, revenge, and more! 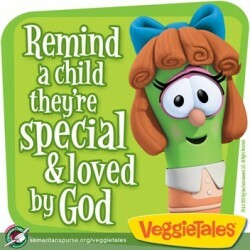 There are lots of great lessons to be learned all while enjoying the exciting storyline! Want to hear a bit of the CD? Be sure to listen to the audio preview! Want to get your hands on the Up in the Air audiobook and implement some of your own character-building in the car? Head on over to order your copy now! 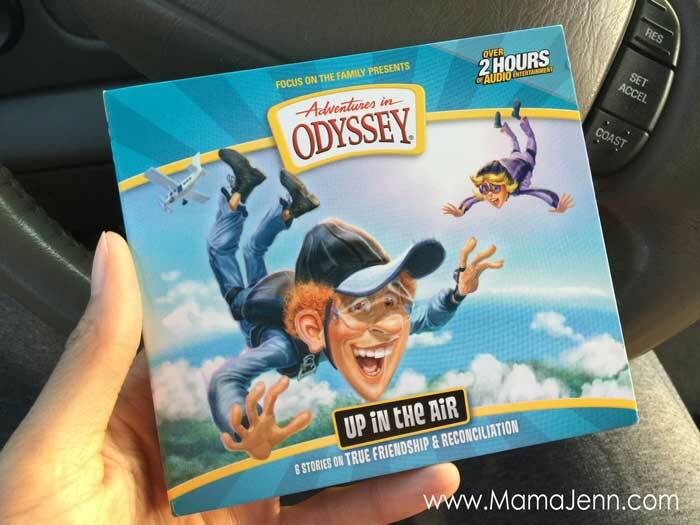 Focus on the Family is giving away 30 Adventures in Odyssey CDs (US residents only). Use the widget below to enter to win. Was today the best day ever?